The 2017 F-150 Raptor – Ford’s toughest, smartest, most capable off-road truck ever – recently completed more than 1,000 miles of testing in the southwestern United States. Over 1,028 miles of desert trail designed to parallel the Baja race course in Mexico, the 66-mile route featured a wide range of surfaces including fast sandy washes, deep-rutted silt beds, steep climbs in deep sand, and slow meticulous crawls through tight trenches. Photo Caption: The 2017 F-150 Raptor – Ford’s toughest, smartest, most capable off-roader ever – recently completed more than 1,000 miles of durability testing in the challenging desert of Southern California. The truck topped speeds of 100 mph in places, slowing to 10 mph in others, for an average speed of approximately 50 mph. The 2017 Raptor is 25 percent faster than the current truck based on lap times. At the end of each lap, the new Raptor completed a tabletop jump consisting of a steep ramp up to a two-foot plateau, then a step-off back to level ground. The vehicles tested were early build prototypes made from a mix of 2015 F-150 Raptor and 2017 F-150 Raptor components. 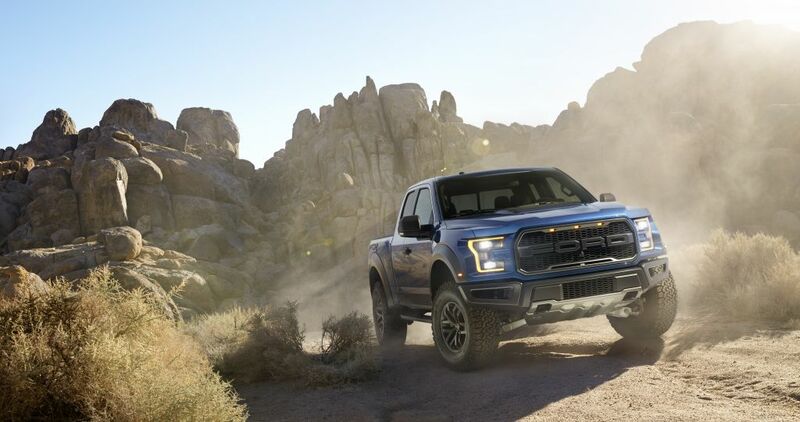 As is the case with all Built Ford Tough trucks, Ford engineers pushed the new Raptor harder in a few days than it will be pushed over the lifetime of a typical vehicle – far exceeding what an owner would do on the trail. The 2017 F-150 Raptor – Ford’s toughest, smartest, most capable off-roader ever – recently completed more than 1,000 miles of durability testing in the challenging desert of Southern California. Testing of the next Raptor, first revealed earlier this year, continues into 2016. The 2017 F-150 Raptor goes on sale in fall 2016. Wanna support the production of our weekly videos! Sure ya do! We’d appreciate it.